go out sailing on the weekend. We will waive the £50 Joining Fee if you decide to join the club within a month of the end of the course. Course Duration: This is on standard a 2 day course but we sometimes offer it as a 3 day, allowing for an additional's day sailing to practise your skills. Please note dates and pricing below. 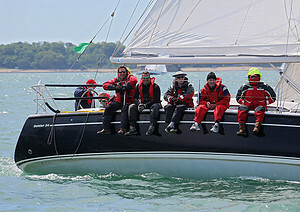 Course Headline: A short introduction to offshore sailing for complete beginners. Course Description: The yacht, ropework, underway, rules of the road, man overboard recovery, clothing and equipment, emergency equipment and precautions, meteorology. What's Included: RYA accredited instructor, accommodation on board, gas, diesel, breakfast and lunch each day. Not Included: Evening meals ashore. Mooring fees, which are split between the students. Next Steps: RYA Competent Crew Course. Holders of the Start Yachting certificate can go on to complete the Competence Crew course in a reduced time of three days or two weekends. 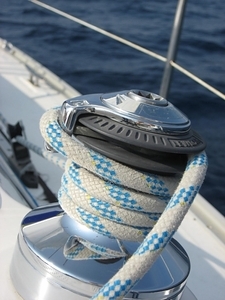 Ability after the course: Basic knowledge of yachting including experience in steering a yacht, sail handling, rope work and safety awareness. Please contact the admin office for booking details.